April 11th. Please contact Chris to be included on the upcoming chicken and pork email list. How is our beef different? Chris receiving the TESA award from the Royal Bank at the Beef Farmers of Ontario AGM. We were honoured to receive the 2017 TESA (The Environmental Stewardship Award) from the Beef Farmers of Ontario and the Royal Bank of Canada in February. 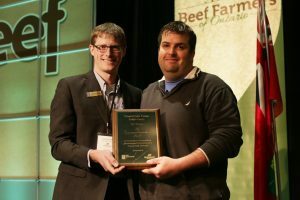 This award is given annually to a beef producer in Ontario who promotes and practices environmentally friendly stewardship on their farm. We would like to thank all of our great customers throughout Ontario who support us and make this kind of farming possible. 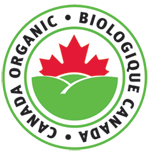 Clear Creek Farms in south western Ontario specializing in black angus certified organic beef. Copyright © 2016 Clear Creek Farms Inc. All Rights Reserved.